Life of a child was "grey"
Where can the schools be found? These schools can mainly be found in the country (Kentucky, Iowa, Kansas, etc.) And some are still preserved today. 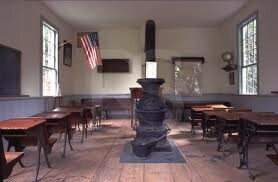 The schoolhouse on the outside was was made of wood and sometimes brick. It was usually painted white to make it more appealing and visual. On the inside, one could find a furnace, desks, chairs, windows, shelves, books, writing utensils, chalkboards, etc. Most schools ranged from as few as 7-8 and grew as big as 12-15. Would I attend this school? Definitely not permanently. I would enjoy it for at the most maybe a week or so, just to get the feel/vibe of the classroom and what it would actually be like to live in that era. However, I enjoy the use of technology, and the comfort our classroom provides (comfortable chairs, carpeting, AC and heating when necessary). Houghton Mifflin Company, Millian Schoolhouse General Information. 1999. 26 September 2012 <http://www.cedu.niu.edu/blackwell/oneroom/generalInfo.shtml>. CMU, The Teachers. 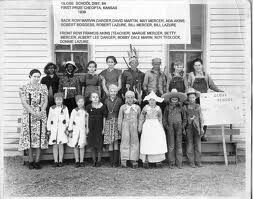 26 September 2012 <http://clarke.cmich.edu/resource_tab/information_and_exhibits/one_room_schools/the_teachers.html>. 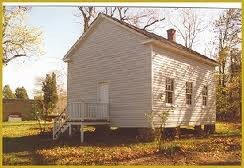 One Room Schoolhouse Center. 1998-2012. 26 September 2012 <http://oneroomschoolhousecenter.weebly.com/>.